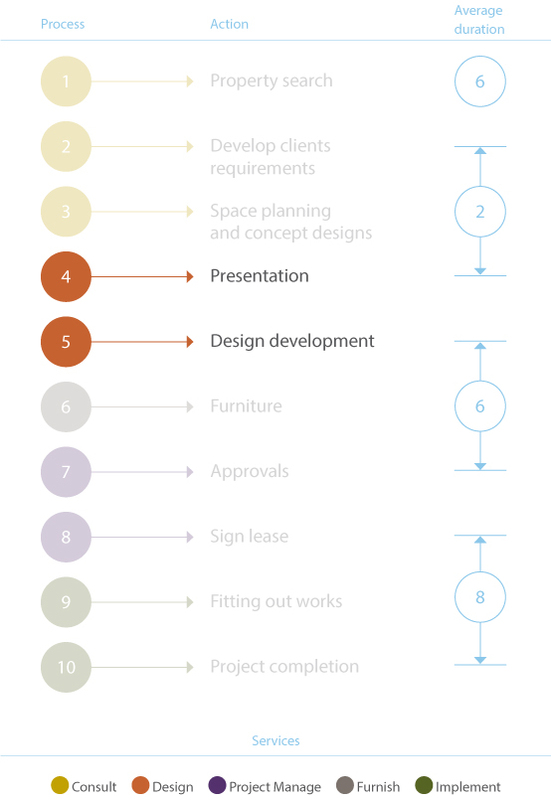 Workspace is a Design lead practice offering a complete in-house design, space planning and project management service for both new office premises and renovations. At Workspace, we like to approach each project with passion and creativity, delivering a concept that is current, on-brand and bespoke to each client. We understand and recognise the importance of Design in creating the ideal office environment and the benefits this can bring to a workforce. Whilst we are mindful that the needs of each client are unique, our end goal remains consistent; to create a positive, happy place, where people love to work. Our Design team is most certainly “hands-on”, working closely with our project managers to translate and realise the design drawings on-site. Experience and solid communication within our internal teams gives us an understanding of what is both practical and within the budget and timeline, throughout every step of the process.